Your favorite summer treat just got a whole lot nicer. 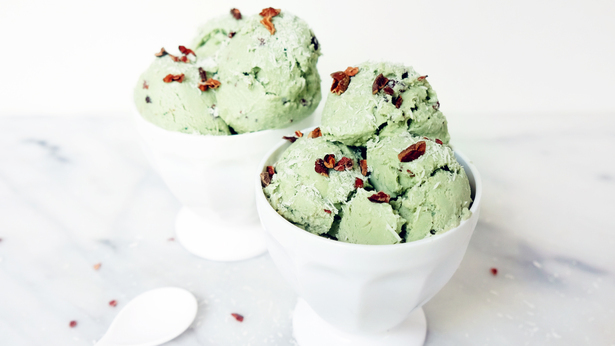 This non-dairy frozen dessert contributed by barre3 will cool you down on a hot summer day, satisfy your sweet tooth, and stabilize your blood sugar. Plus, for those of you who suffer from summer allergies, did you know that dairy increases all of that nasty mucous production? Try this for a sinus-friendly alternative. 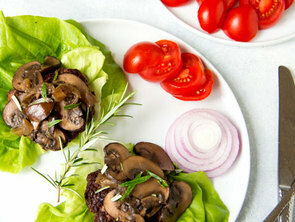 Recipe courtesy of Alison Wu, recipe developer and food stylist. Divide among 4 bowls and top with desired garnishes. Serve immediately. To enjoy this recipe as a colder treat, divide mixture into individual servings among 3-4 small containers. Cover mixture and chill in freezer until firm. Remove from freezer and let soften 3-5 minutes before enjoying. Barre3 mixes athleticism, grace, and the latest innovations designed to balance the body. Barre3 is functional training with a twist. Rooted in three fitness disciplines—ballet barre, pilates and yoga—barre3 workouts will have you feeling strong and balanced inside and out. barre3 is known for building lean muscles, a strong core, and long-term postural benefits. 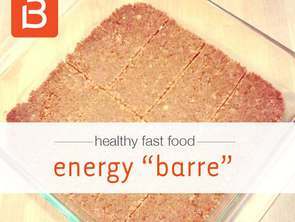 Find more recipes from barre3 here and reserve a class at barre3 at their Georgetown, Union Station or Spring Valley studio on FitReserve today!